Board members present: Arthur Knowles, Amy Joe Gracyalny, David Brauer, Tom Parent, Chris Sur, JobyLynn Sassily James, David Saddoris, Niki Stavrou. Board members not present: Darrell Gerber, Mary Hunter, Ben Kristensen, David Potosky. Chris Sur updated the Board on letter to mural artists. Letter is created and will be given to Exective Committee soon for review. Sheila DeLaney has been selected as the Farmer’s Market Coordinator. Sheila has a long history of neighborhood activism and organization. The agreed upon salary is $15/ hour. Sheila will personally introduce herself later in meeting. David B. extended congratulations to all involved. 425 people attended the show, and all had high praise for Rau+Barber, the evening’s host. The show grossed $14,000. Roughly $7000 was from art, 50% of which will go back to the neighborhood artists. Sarah Linnes-Robinson informed the Board that KFNA has received a $10,000 grant from the City of Minneapolis for graffiti-prevention, which will be used for the Walldog event. Sarah Linnes-Robinson briefed the Board on agenda and scheduled events for the upcoming annual meeting. 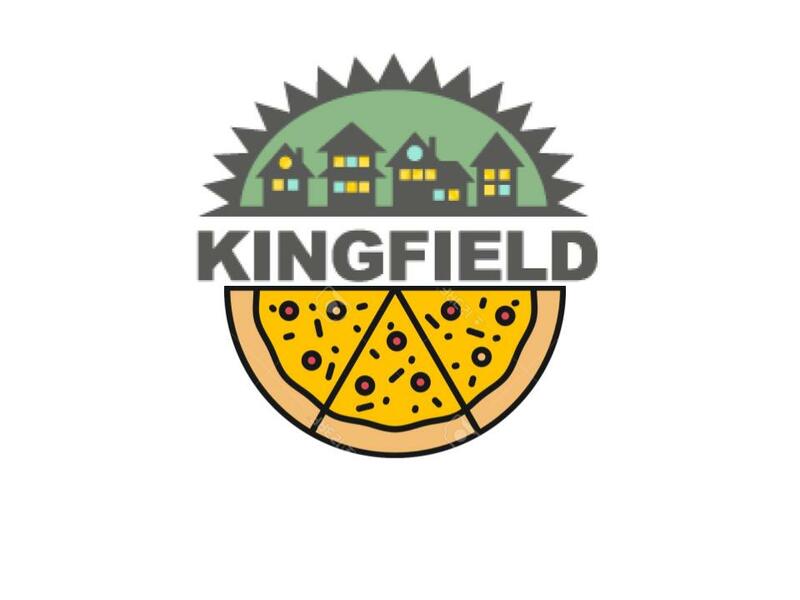 Prior to the meeting, KFNA will host a “Taste of Kingfield” event, which 6 neighborhood restaurants have currently agreed to supply free food for. During this time, there will also be booths set up for Instant Runoff Voting, Nicollet Square (staffed by PCNF and Housing 150 – Nicollet), the Redevelopment Committee and Lyndale Avenue Construction. David B. will commence the annual meeting at 7, giving an introduction to KFNA and the work over the last year. Arthur will review the NRP plan modifications and bylaw changes which need neighborhood approval. Board elections will be held, with 7 seats vacant. During the counting of the ballots (at approximately 8:30), public officials will address the assembly. Officials expected to attend are Gail Dorfmann, Scott Dibble, Keith Ellison and Elizabeth Glidden. It was then clarified that League of Women Voters would not be officiating the Board of Directors voting. JobyLynn shared with the rest of the Board that a neighbor had approached her regarding a botched attempt at sharing information on her block which ended up causing significant confusion. To better prevent these types of incidents, JobyLynn advocated for clearer processes and identification of block club leaders and processes of information sharing. Plymouth Church Neighborhood Foundation and Housing 150-Nicollet, the owners and developers of 3700 Nicollet asked for KFNA’s support on several variances they were seeking as part of the City of Minneapolis entitlement process. Parent described and discussed the process that the Redevelopment Committee has undertaken on this issue, including 5 months of in-depth review of specific topics that this development potentially may impact. Parent also walked the board through the typical procedure for a developer getting site plan approval and the neighborhood association’s role in that process. As part of the discussion on specific variances sought, Parent described the discussion from the previous Redevelopment Committee and the reasons why the committee had voted to support all of the variances except an increase of the number of supportive housing units from the 32 to 42, which the committee voted not to either support or oppose. When asked why the committee had not voted to support that variance, Parent explained that the committee did not feel fully prepared to discuss and understand that variance and recognized that it represented a potential source of division within the neighborhood. He then explained that subsequently to the committee meeting he has had an opportunity to better understand the intent of the ordinance, and explained that the variance did not, in fact, represent an increase in density of units on the site, but strictly the number of supportive housing units on the site. To wit, it would be fully within zoning if they were to propose 80 units on the site with only 32 of the 80 acting as supportive housing units. PCNF presented their past experience with the ordinance which defines the limit of 32 supportive housing units, as it also stipulates that supportive housing facilities may not be within ¼ mile of each other. This latter provision proved problematic on their Lydia Apartments project, but it was adjudicated as discriminatory and unenforceable (due to the tenants of Lydia Apartments being adults with disabilities, which would not be the case for 3700 Nicollet). As a result of that finding, apparently the City of Minneapolis does not enforce that ordinance to its strictest intent. When asked what aspects of the proposed development have evolved as a result of the process with KFNA, Parent noted that the exterior façade concept had been entirely retooled to be a much more traditional concept, the retail area now had it’s own dedicated parking area, more parking spaces overall were being provided and one less townhome unit was being proposed. The board wanted to underscore that the specifics of the townhomes on the site, always noted as part of the second phase of the project, were not being addressed by this process and the expectation is that PCNF will return to KFNA when those became a reality. When asked about off-street parking shortages, Parent acknowledged that he had received several e-mails from concerned neighbors of the proposed development asking that either minimal or no on-street parking be allowed for the use of the development. He explained that while there is no expectation that individual residents should expect on-street parking and that street parking can lend a sense of vibrancy to a retail node, it is a very tricky matter to determine when it becomes too much and a livability issue. Several parallels to other businesses in the neighborhood (Café Tempo, Anodyne, etc) were discussed in order to give context to the issue. Knowles expressed his concern that parking was a red herring issue for concerns over increased density. To conclude, Parent described that when PCNF applied for site plan approval for the development, KFNA would make sure that the Planning Commission (the City of Minneapolis body that determines whether a development meets the City’s criteria) receives a copy of all of the e-mails, letters and comment cards that KFNA has received regarding this proposed development, a copy of the Community Benefits Agreement between PCNF and KFNA, the meeting minutes of the Redevelopment Committee’s process surrounding the development and any recommendations the board may have regarding variances. Knowles moved to support variances #1-3, 5-8. JobyLynn seconded. Passed unanimously. JobyLynn moved to support variance #4. Arthur seconded. Yeas: Parent, Sur, Knowles, SassilyJames. Nays: Saddoris, Stavrou, Gracyalny. Abstain: Brauer. Motion approved. Sheila Delaney, the recently hired Farmer’s Market Coordinator came to introduce herself to the board. She described her history as a neighborhood activist as the Longfellow Community Council organizer and director. She is very excited to start work on the Kingfield Farmer’s Market, and several members of the board expressed gratitude and equal excitement at having her in the position. It was noted to change “community business agreement” to “community benefits agreement”. Knowles moved to approve the minutes. Parent seconded. Passed unanimously. Sur moved to approve the report. Knowles seconded. Passed unanimously. Parent gave a brief verbal update on the plans for Hennepin County’s redevelopment of a home at 4307 Wentworth. Sarah Linnes-Robinson stated that many grant applications were pending and that she would update the board next month. Sarah Linnes-Robinson stated that over the next few months the board would have to figure out how to fill Joanna Hallstrom’s shoes, particularly her role in the Crime Prevention and Safety meetings and the newsletter. Some questions that will arise are whether or not we need a staff presence at all meetings, how the board can use her absence as an opportunity to take an even greater leadership role, should CpaS become an MPD meeting and others. Discussion to be a big part of the next board meeting. All agreed that the upcoming annual meeting would be an opportune time to try and plug some of the holes with more volunteers. Internet should be up and running by annual meeting. City of Minneapolis is giving the Farmer’s Market new bike racks. Details forthcoming. Arthur moved, JobyLynn seconded. Passed unanimously.